Please Note: It will be a $5 charge to pick up your packet the morning of the race card preferred. Join us at Citi Field for the sixth year running! 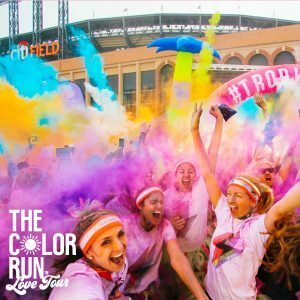 Run, skip, or dance through the ballpark at the Happiest 5K on the Planet! The start chute will OPEN at 9:00 AM and CLOSE at 10:00 AM. Back On My Feet is a nation for-purpose 501(c)3 organization that uses running to help those experiencing homelessness change the way they see themselves so they can make real change in their lives that results in employment and independent living. The organization's mission is not to create runners within the homeless population, but to use running to create self-sufficiency in the lives of those experiencing homelessness. The program's success is measured by how many Members obtaining independence through employment, job training, and housing.